12 Practical Winterizing Tips with A Few Surprises! Every year at this time, we in the Northwest corner of Pennsylvania start dreading the upcoming winter weather. Not only do we know we’re going to be cold, but we worry about heating bills and driving in icy conditions. Brrr! We’ve put together a few tips for helping you prepare for the winter ahead. By following these simple ideas, you’ll be able to stop worrying and begin enjoying this beautiful, invigorating season. A few, old-fashioned tips may surprise you! Open your curtains on the south and west side of the house during the day. The sun’s warmth will heat up your home, naturally. Close them at night to keep out the cold. Older homes are notoriously drafty. Use door “snakes” or rolled up towels in front of doors. These block the cold drafts from coming in—reducing your gas bill. There are plenty of decorative options out there to make them part of your décor. Or, you can buy a plastic “door sweep” that runs along the bottom of the door to seal it. Reduce the maximum temperature on your hot water heater by 10 or 20 degrees and you can really save on your water-heating bill. It sounds like a huge change, but you’ll barely notice the difference when showering. Put a little ground ginger or cayenne pepper in your socks. It will heat up your feet and help keep you warm when outside shoveling or snowshoeing! Shut the doors on any rooms you don’t use every day and large closets. This can make a big difference in minimizing drafts in older homes. Have your heating system checked annually to make sure it is running properly. And replace your air filter at least every three months. Keep your body warm. Cover your ears, wear layers and eat soup! All are guaranteed to help make you toasty. If you have ceiling fans, use them. When it’s time to turn the clocks back, set your fans in reverse—they’ll push the warm air downward, allowing your furnace to run less often. Drain and turn off any sprinkler systems. Disconnect hoses from outside faucets from November through March. If you need to use a hose, disconnect and store after each use. Clean out your gutters! Leaves can cause ice and snow to build up. Ice buildup can lead to serious damage to the structure of your home—and expensive repairs. 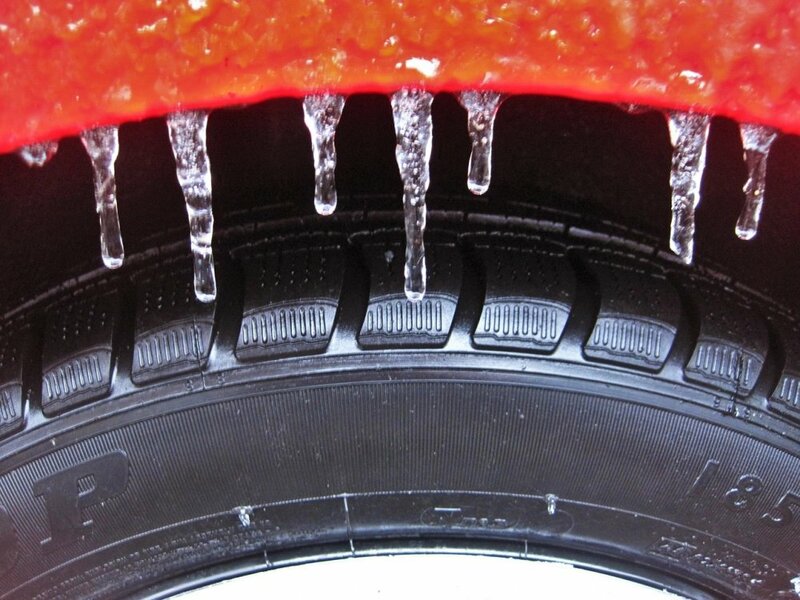 Make sure your tires have plenty of treads. 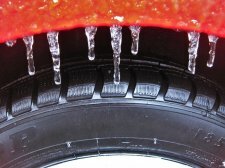 Slick tread with slick driving conditions can add up to disaster! If you’re not sure about the condition of your tires, have a mechanic check them out for you. When all is said and done, it may be time to consider a new home! With all the latest energy-efficient options and design features available, you could be paying less in the long-run. So there you have it! Stay warm, stay safe, and enjoy the coming season.